So you’ve come up with a new site, or you're optimizing the existing one. Perhaps you added new products/services and you are ready to be found. You hired the right SEO provider and you are rolling with your SEO efforts- but you know it takes time. The more competition you face, the more challenging it will be to optimize for your keywords. The quick solution-PPC! With PPC, you will be listed on the front page instantly. Your site doesn’t need to be optimized and you are guaranteed a spot. But don’t be mistaken- doing PPC correctly is also a key component of your success. If you don’t know what you’re doing, it's best to outsource it to someone who does. 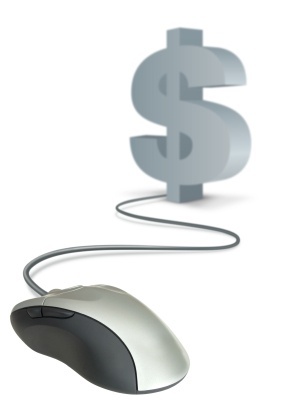 Keeping costs low while maintaining high click-through rates and conversions isn’t easy. You have to put thought and strategy behind it. PPC, when done right, can deliver loads of traffic to your site instantly. It isn’t meant to replace your SEO efforts, but to provide quick exposure and visibility while you work on getting free organic traffic. Some people will click on paid ads rather than organic. Psychologically, some people are simply drawn to the right side of the screen and will look for what they want in the paid results as an instinct. Your site will be shown twice on the search page. One for organic and one for paid, so your chances of standing out among your competition are higher. With paid ads, you can deliver different messages whenever you want. Change your text instantly and advertise promotions and specials on the fly. Editing is quick. You can add/delete keywords at any time. You have control on your spend. You can generate useful data with Google Analytics and evaluate your paid efforts accurately. PPC delivers faster results than SEO. But it shouldn’t replace your SEO efforts, just complement them!